Amidst a proliferation of scholarly literature about Islam in the United States, very little attention has been given to sports among Muslim Americans. While books about professional Muslim athletes can be found, this is the first book to investigate Muslim American sports at the local level, looking at Muslim basketball leagues, sports programs at mosques and Islamic schools, and sports events hosted by Muslim organizations. Drawing upon personal interviews and observations as well as scholarly sources, this book demonstrates that participation in sports activities plays a vital role in strengthening Islamic piety and fellowship, and in connecting Muslims with non-Muslims in post-9/11 America. 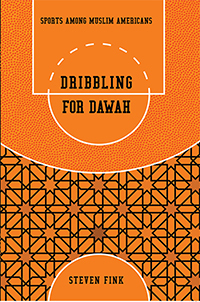 Because of these roles, this book places Muslim American sports within the trajectory of the Muslim “dawah movement,” part of a worldwide revival with particular momentum for many Muslim Americans since 9/11. Additionally, the book places Muslim athletic endeavors within the stream of American religious history by exploring relationships between these sports activities and those of late nineteenth and early twentieth century Protestants, Catholics, Mormons, and Jews.